Norbert Siedler will race on the European circuits with a Lamborghini Huracán again in this season. 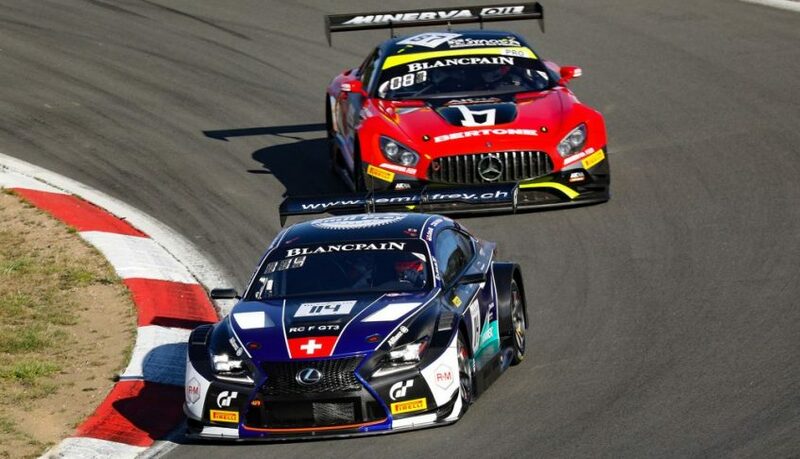 The Tyrolean changes from Lexus to the Italian sports car brand together with his team Emil Frey Racing. In the International GT Open the experienced driver wants to fight for victories from the first race on. „Already at the end of the last season, Emil Frey Racing and I had the wish to continue our collaboration,” Norbert Siedler is happy. 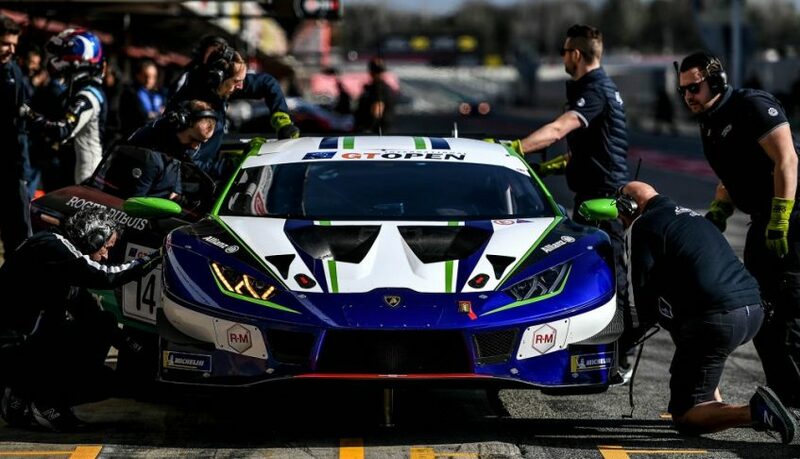 In this year, the Swiss team enters two brand-new Lamborghini Huracán GT3 EVO in the International GT Open for the first time. “When I was asked to join the Lamborghini-project, I did not have to think twice about it,” Siedler emphasizes. Norbert Siedler has successfully raced with a Lamborghini Huracán GT3 in the ADAC GT Masters and Blancpain GT Series already in 2016 and 2017. “The Huracán GT3 EVO is the successor model and is just in front of its debut season. Besides the drivability, the reliability of the engine was improved. I can hardly wait to take a seat in the new car at the test drives in a few days,” the GT-specialist looks ahead. Norbert Siedler‘s team-mate will be announced by Emil Frey Racing after the test drives: “All candidates are promising. Our goal is to fight for victories from the first races on,” Siedler tells. The first two of the 14 races will be held in Le Castellet (F) from April 27 to 28. Norbert Siedler looks especially forward to his home races at Red Bull Ring (A) from July 13 to 14. All races will be broadcast live on YouTube and selected European sport channels. At the Blancpain Endurance Cup season final in Barcelona (ESP), Norbert was stopped by technical issues twice. At first an engine failure in qualifying forced the Austrian and his Lexus team-mates to start the race from the pit-lane. After a strong race to catch-up, another technical issue caused an early retirement in the race around an hour before the end. Before Norbert could take part in the qualifying on Saturday morning actively, the session was already over for the Emil Frey Racing Lexus RC F GT3. Team-mate Stephané Ortelli (MCO) had to park the car the at the trackside with an engine failure. Following the regulations, Norbert, Stephané Ortelli and Markus Palttala (FIN) had to start the race from the pit-lane in last and 52nd position because of the engine change. Only a strong performance by the Emil-Frey-mechanics made a participation in the race possible. “Congratulations to the guys, they have changed the engine extremely fast,” Norbert was happy. The race on Saturday began promising for Norbert and his team-mates: In the first half of the race, their car had already moved up just behind the top-20. 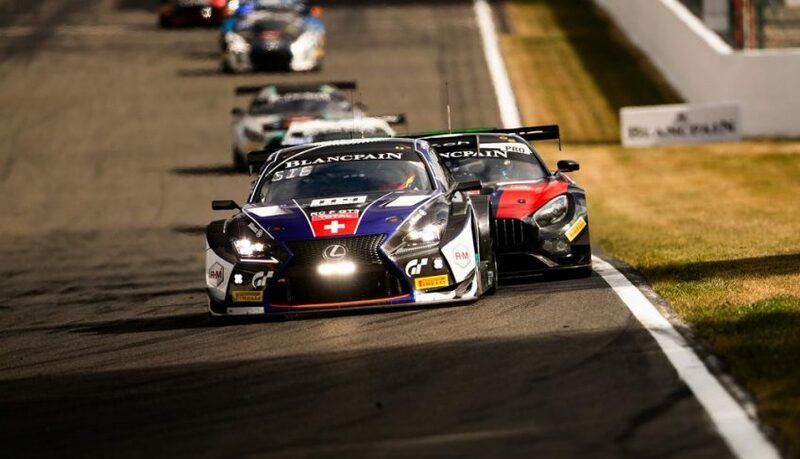 But short before the Austrian was supposed to take over the car, the events of the morning repeated: Once again Markus Palttala had to stop the Lexus with a technical failure and thereby retire from the race. The racing season is not over for Norbert yet: Already at the next weekend he will sit inside a race car again. At Nürburgring-Nordschleife the eighth race of the VLN Endurance Championship will be held on Saturday. After the second place in the seventh race, the Austrian’s target is clear: “If things work out well, another podium is possible,” the 35-year-old looks ahead. With the second place at the seventh VLN race of the season, Norbert achieved another podium-result at the Nürburgring-Nordschleife. From starting position seven the Tyrolean and his team-mate Lance David Arnold (D) quickly moved up into second place. After four hours, the Frikadelli-Racing drivers missed the victory by a few seconds only. In the race on Saturday, Norbert quickly corrected the qualifying result. Already after four laps, he had improved to position two with some spectacular overtaking manoeuvres. “In the first laps of the race you can quickly loose a lot of time against the leader. That’s why I had to take full risk to move up in the field,” the Porsche-driver explained after he had handed the car over to Lance David Arnold. In the second part of the race, Norbert’s Porsche fought for the victory against a Mercedes AMG. “The AMG had done its first pit-stop already after four laps. Therefore, we did not know the exact gaps between the cars until the final part of the race,” the Austrian explained. Five laps before the end, the Frikadelli-Porsche was nearly half a minute behind the leader. But Norbert managed to decrease the gap by several seconds per lap. “We were expecting an extremely close battle in the end. But then we had bad luck with a code-60-zone, in which the Mercedes won many seconds in comparison to us,” Norbert described. After 28 laps he crossed the finish-line 14 seconds behind the leader in second position. Right after the race, it became clear that it was even closer. “We crossed the finish-line just after four hours and a few seconds. Without the code-60-zone in the end, the race would have been one lap longer. The Mercedes would have run out of fuel or had to make an extra pit-stop”, the race driver from Oberau explained. At the next weekend Norbert travels to the Blancpain Endurance Cup season final in Barcelona. 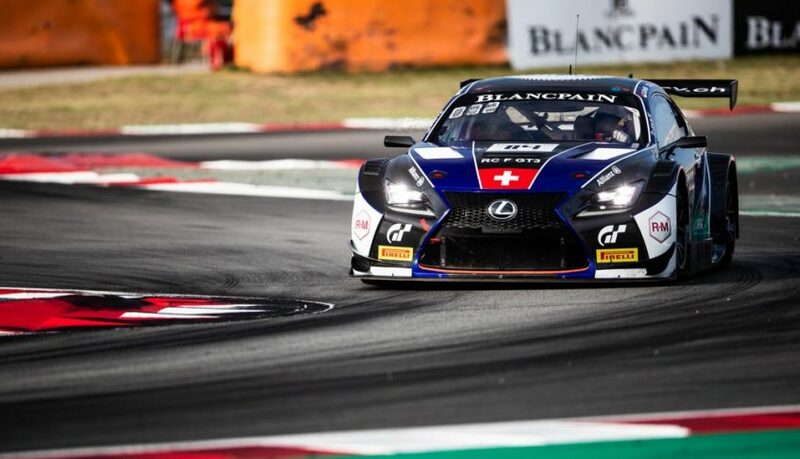 At the Circuit the Catalunya the 35-year-old will start with an Emil Frey Racing Lexus RC F GT3. There he hopes for a top-result as well. „The track was equipped with the new Formula one tarmac, which suits our Lexus perfectly,” the endurance-specialist looks ahead. At the Blancpain Sprint Cup season final, Norbert was happy with two further point-results. At Nürburgring (GER) he crossed the finish-line together with his team-mate Markus Palttala (FIN) in positions eight (Sunday) and nine (Saturday). Especially in the second race the Lexus of the international duo was among the fastest cars on track. In the qualifying sessions on Saturday, Norbert and his team-mates secured the 13th starting positions for the runs at Nürburgring. “Of course, we were not happy with this result,” the Tyrolean was angry. But a few hours later things went a lot better: Step by step Norbert and Palttala fought their way through the field with their Lexus and were rewarded with a championship point for the ninth place. At the next weekend Norbert’s journey leads to Nürburgring again. 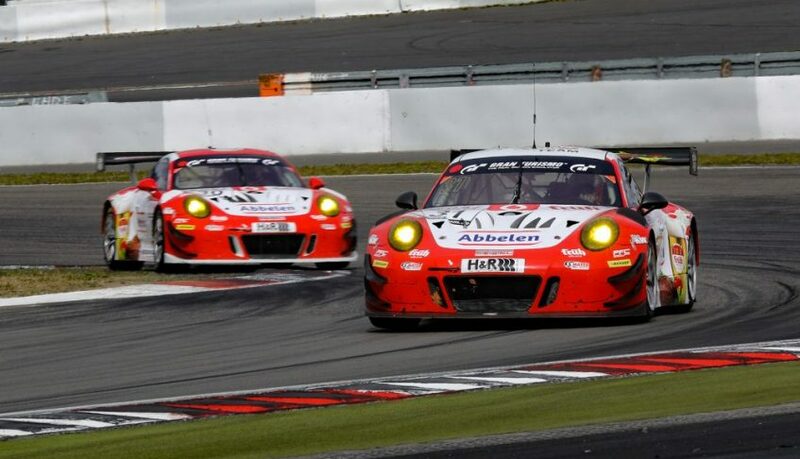 In the seventh race of the VLN Endurance Championship the 35-year-old fights for the overall victory with a Porsche 911 GT3 of Frikadelli Racing again. The 24 Hours of Spa-Francorchamps ended for Norbert and his team-mates with a heavy accident in the night from Saturday to Sunday. Stephané Ortelli (MCO) was able to climb out of the Lexus RC F GT3 without serious injuries. In a little more than two weeks, Norbert will travel to the VLN Endurance Championship at the Nürburgring-Nordschleife, where he was victorious in the last race. With more than 60 participants the Blancpain GT Series season highlight is the biggest GT race of the world. In Thursday’s qualifying Norbert, Stephané Ortelli und Markus Palttala (FIN) secured the 26th starting position for the 24 hour classic through the Belgian Ardennes with their average time. In the race, Norbert and his team-mates had to fight hard for every position. “Unfortunately, our Lexus was not able to match the pace of the frontrunners completely this weekend. Especially tyre degradation was a big challenge for us,” the Emil Frey driver explained. Instead, the Swiss team was able to win many positions with a clever strategy. During a safety car period the engineers quickly reacted with an early pit-stop that brought the Austrian to second position. “Suddenly we were in the top group,” Norbert was happy. “In the first half of my stint I had no problems to defend my second position. But when the tires dropped, I had to give up two places, which still kept us in a strong position.” Shortly after midnight, the squad was suddenly shocked when starring at the monitors: At “Raidillon” Stephané Ortelli crashed into the tyre wall nearly without prior deceleration. The Monegasque was able to climb out of the car by himself but was taken to hospital precautionarily.